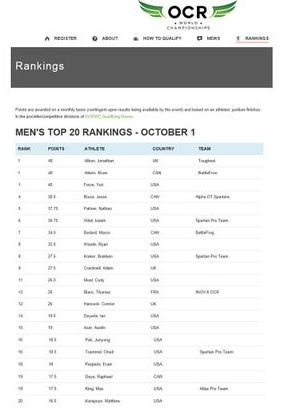 For reaching 75 miles at 2014 WTM. 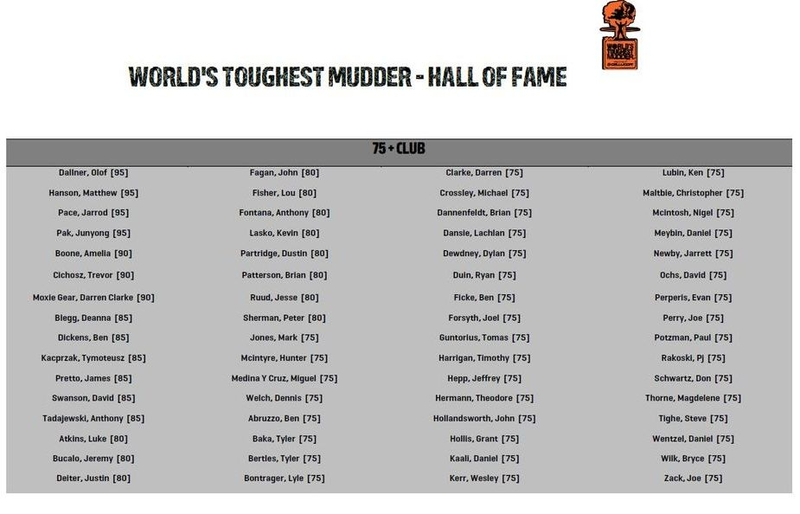 Once Tough Mudder updates their Hall of Fame it will reflect Evan's 90 mile finish at 2016 WTM. 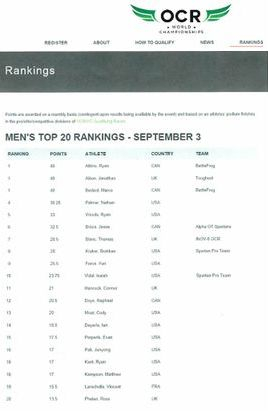 Athletes were ranked based off their best top three finishes at Toughest Mudder events. 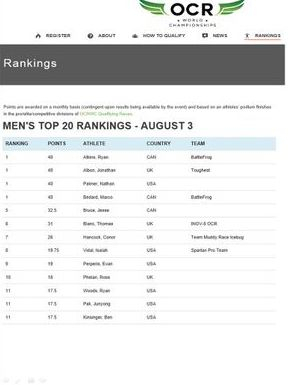 Athletes were listed based off number of miles completed cumulatively at Tougher Mudder, Toughest Mudder and World's Toughest Mudder. 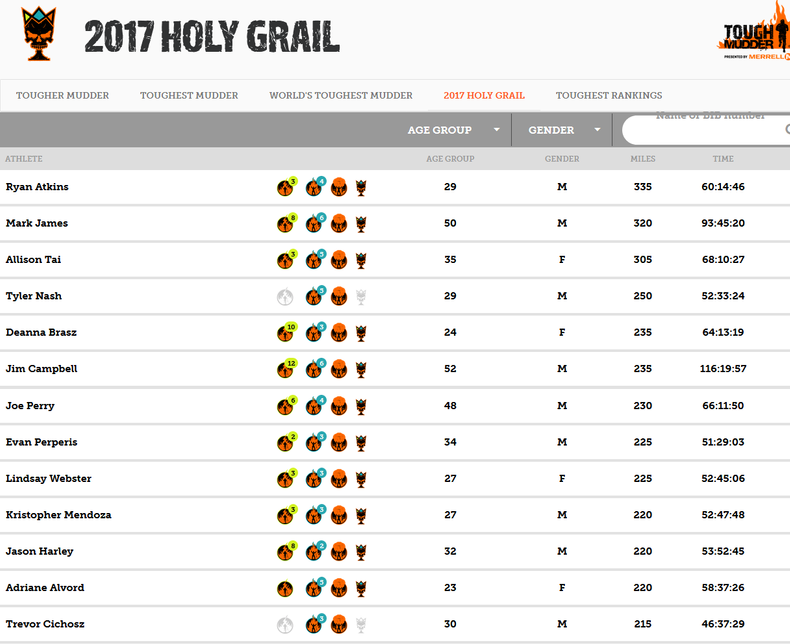 There was no limit on the number of events you ran. 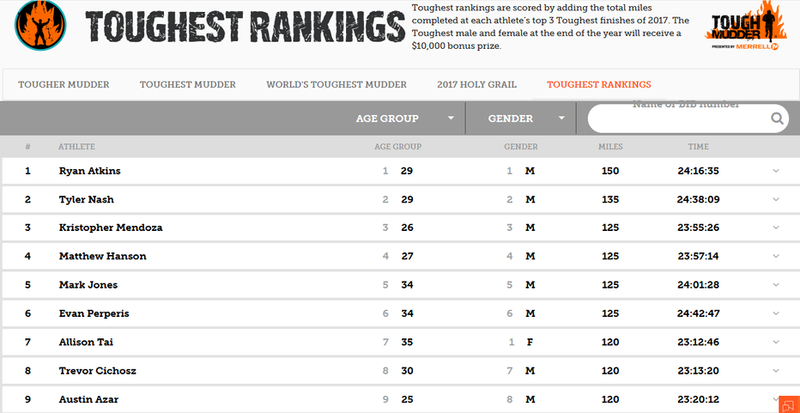 Finished in the top 10 despite only six events (2x Tougher Mudders, 3xToughest Mudders and 1x World's Toughest Mudder).